Spoiler Alert: 6 billion pounds of produce go to waste every year. -Evan Lutz. It is astonishing how much food goes to waste every year. What causes food waste? Just simply tossing scraps from your dinner plate or leftovers in the bin contributes to food waste. In addition, restaurants and supermarkets throwing away unsold food plays a large part in food waste. Recently, it was announced that France has become the first country to take a stand against food waste in a major way by banning supermarkets from “throwing away or destroying unsold food, forcing them instead to donate it to charities and food banks” (The Guardian). I believe other countries should follow suit, as this ban is heading in the right direction to help reduce food waste and food insecurity. When you look at the bigger picture, it is very concerning that copious amounts of food is constantly being wasted and ending up in the trash or landfill when there is “Some 795 million people in the world do not have enough food to lead a healthy active life. That’s about one in nine people on earth” (World Food Program). Did you know? “If women farmers had the same access to resources as men, the number of hungry in the world could be reduced by up to 150 million” (World Food Program). Perhaps if there was better distribution of food and a massive reduction in food waste then maybe the number of people in the world who are suffering from food insecurity and malnutrition would lower. There is more than enough food produced on this planet to feed everyone, yet all over the world there are people who don’t know when and where their next meal is coming from. Have you every wondered why the produce in the supermarkets look so pretty and almost exactly alike? It is a result of food that is considered being “ugly” being tossed out and not even making it to the produce shelves. So called, ‘ugly’ produce is a leading contributor to food waste. It is mind boggling to think that there is perfectly good produce being tossed out just because aesthetically it is not pretty enough or the perfect size or right shape. I find this rather alarming. Essentially, edible food is being wasted and trashed because of its cosmetic attributes not because it lacks nutrients or flavor. Thankfully, one young entrepreneur, Evan Lutz, has caught onto this issue and is doing everything in his power to reduce food waste and food insecurity. I had the pleasure of speaking to the inspiring entrepreneur for a quick Q&A. 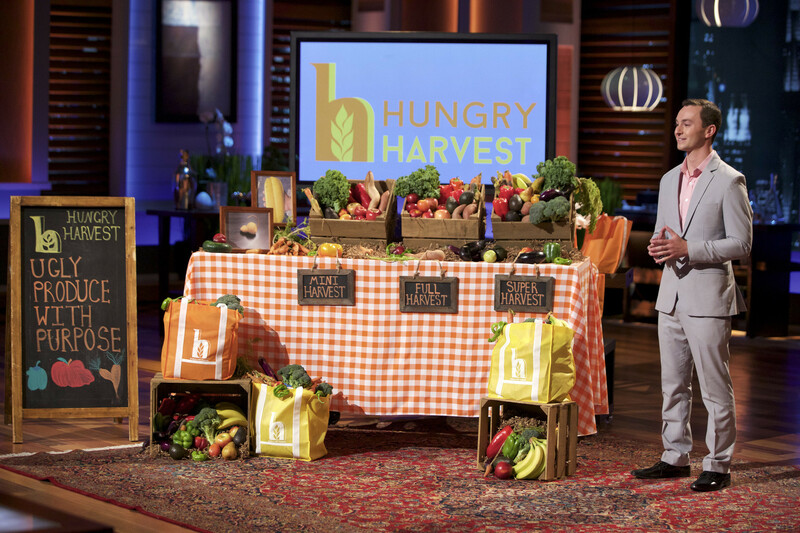 Evan and his team at Hungry Harvest are creating a positive impact across America. Hungry Harvest currently operates in MD, DC, VA & PA. In March, Hungry Harvest will be welcoming New York to their family. Hungry Harvest is all about collecting a surplus of food that would otherwise be considered ugly according to supermarket standards and subsequently tossed out. Hungry Harvest is distributing what is perfectly edible food to households in the USA. Their program is supporting local farmers feeding America with quality organic produce. The food bags range in size and produce, all delivered to your doorstep. For every purchase a meal is donated to family in need. 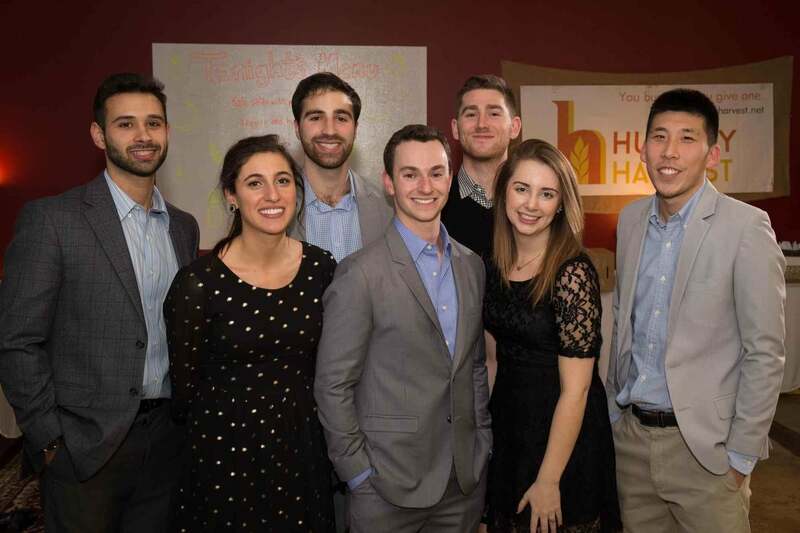 The Hungry Harvest team are changing the way we look at food and creating awareness about issues such as food waste and food insecurity. Most of all, as they work hard on their mission to reduce food waste, they also support local farmers and feed those in need. It is admirable the incredible work they are doing to improve the lives of others and creating positive change. Eco Chic Cayman (ECC): What inspired you to start Hungry Harvest? Evan Lutz (EL): 6 billion pounds of produce go to waste every year. 50 million Americans are food insecure, and don’t have access to the types of fruits and vegetables they need for a healthy diet. That is unacceptable to me. My entire life I’ve wanted to become an entrepreneur. I didn’t want to just start a regular business, but one that made social impact and profit. 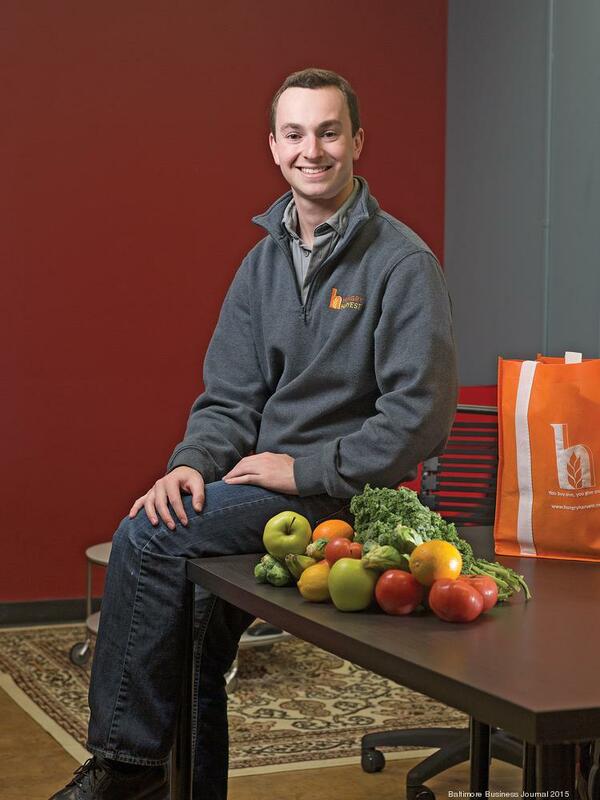 When I started working for Food Recovery Network my senior year at the University of Maryland, I saw an opportunity with the Executive Director to sell ‘surplus’ fruits and vegetables in a farm-stand format outside of our stamp student union. The project was called the Recovered Food CSA, and we sold 5lbs bags of produce for just $5. We had 10 customers the first week, 20 the next. By the end of the 12-week pilot, we have 400-500 customers every week. At that time, we knew we had the ability to make profits and impact, and turned it into a home-delivery, for-profit model. ECC: Do you find consumers are aware of all the surplus food that exists as a direct result of the produce being labeled or considered ugly? EL: Our biggest challenge is market education. Generally, people are unaware of all of the waste that’s going on, and how preventable it is. 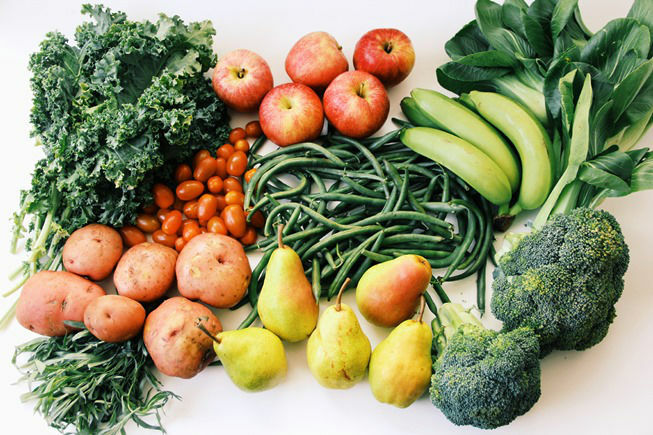 If I gave you a box of recovered fruits and vegetables, and gave you a box of something I randomly picked from the grocery store, you wouldn’t be able to tell the difference! ‘Ugly’ produce is just a quality and tasty as the ‘perfect’ produce. ECC: What has been your environmental impact so far? EL: We have recovered 350,000lbs of produce since May 2014, and donated 100,000lbs to the needy. ECC: Do you find consumers are now becoming more conscious about food waste? EL: Absolutely. I feel as if we’re on the forefront of two emerging trends in the US. The first is produce/grocery delivery —more and more people are using delivery services to get their food. The second is the movement to reduce waste. People are finally coming to the realization that all of this waste is not good for people or the environment. Stories come out every day in major publications about the amount of waste —and what we can do to stop it. ECC: What tips would you give on ways we can all help reduce food waste? EL: Put the groceries you just bought at the back of your fridge. Take you produce out of the drawer —it goes bad faster in there, and it will remind you to eat it. Compost when you can as a last resort. Only buy the items you need and are going to waste. And of course, sign up for Hungry Harvest. ECC: What has been the biggest lesson you have learned since the inception of Hungry Harvest? EL: People come first. The employees of this company make it work —and they deserve so much credit for putting in the long hours every week. Treating them as the highest priority, before even customers, is the lesson I’d like to share with every entrepreneur. ECC: What advice would you offer future entrepreneurs? EL: Starting a business is easier than it seems and harder than it seems. Easier, because you know how to do a lot of the steps. Harder, because of the sheer amount of work and obstacles that you’ll face. Persistence is the key to success. Hungry for more about Hungry Harvest? To learn more about Hungry Harvest please visit their website by clicking here. Curious what yummy fruits and veggies produced by local farmers will be in your bag, click here.